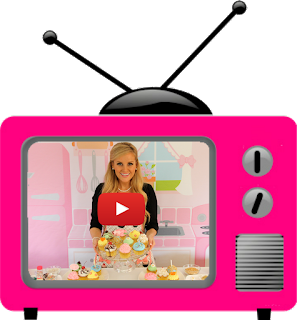 I cannot tell you how excited I am to share this post with you! 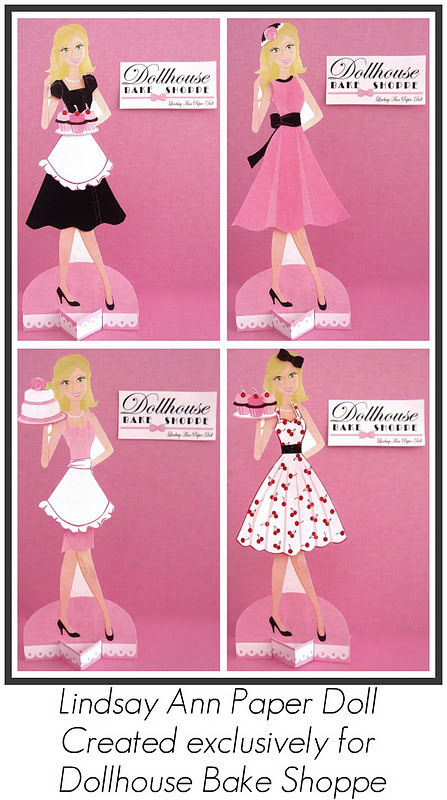 To bring Dollhouse Bake Shoppe to life and into your home, the talented Tricia-Rennea, Illustrator has created a complete "Lindsay Ann Paper Doll Set" as a special FREE gift to you! 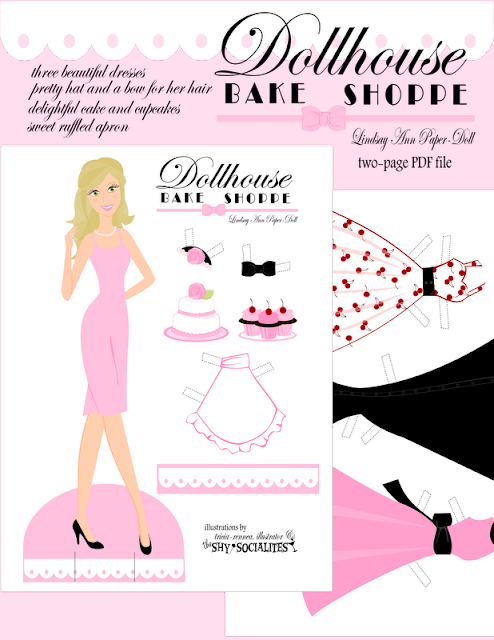 Made exclusively for Dollhouse Bake Shoppe, Lindsay Ann "The Bake Shoppe Doll" is a printable paper doll set that comes with adorable mix-and-match outfits, accessories, and of course cupcakes, so your little girl can play, dress her up and "bake" sweet treats to serve. 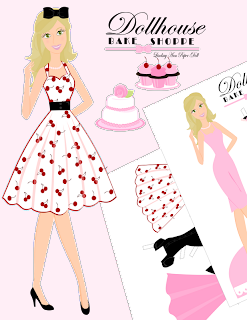 I can't wait for the paper bake shoppe kitchen add-on to play with her in, coming soon! Simply print, cut, and play! "We printed on cardstock like you suggested and my daughter just LOVED her. I printed two and colored in the hair brown with marker for her friend. They used the dolls with her little mini tea set and played all afternoon. Thank you!" -Jennifer K.
Any little girl, or big girl ;) will just love this sweet pink vintage paper doll set. She is cute as a decoration, perched up on top of a desk or dresser with a plate full of cupcakes too. I had so much fun dressing her up in all of her cute wardrobe options. Which is your favorite?! Be sure to check out the newest addition, The Lindsay Ann Christmas Paper Doll Set! Sending a huge thank you to Tricia-Rennea for designing the adorable custom paper doll set. She has created some of the most darling and inspired work I have ever seen! Be sure to check out more of Tricia-Rennea's custom fashionable illustrations, stationary, logos, paper dolls, free printables, and more on her blog. You can also find her on Facebook and Twitter for up to date freebies you can print at home and all new designs available for purchase from her online shop!